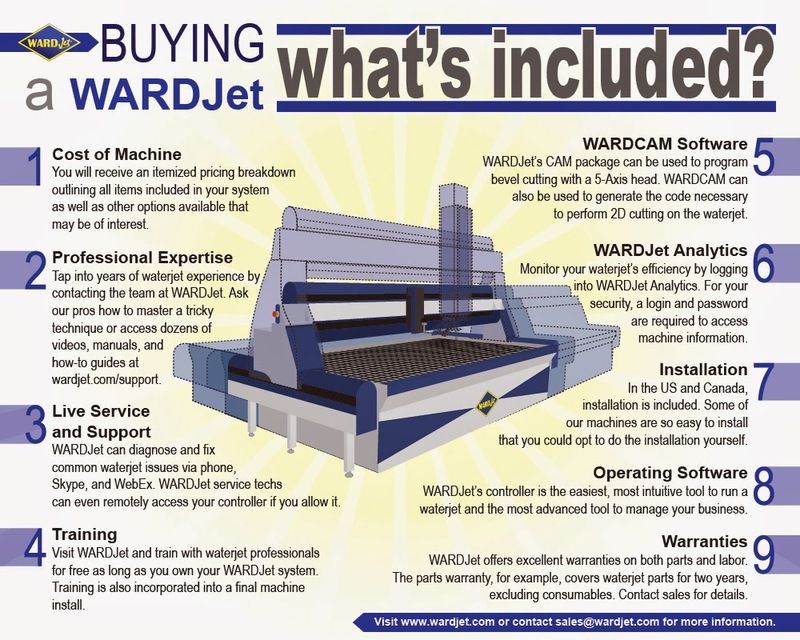 WARDJet Waterjet Blog: What is Included When You Purchase a WARDJet Waterjet? What is Included When You Purchase a WARDJet Waterjet? There are many more advantages to owning a WARDJet waterjet than we could fit in the list above. Visit the Why WARDJet webpage to watch videos outlining other features that set WARDJet apart from the competition.